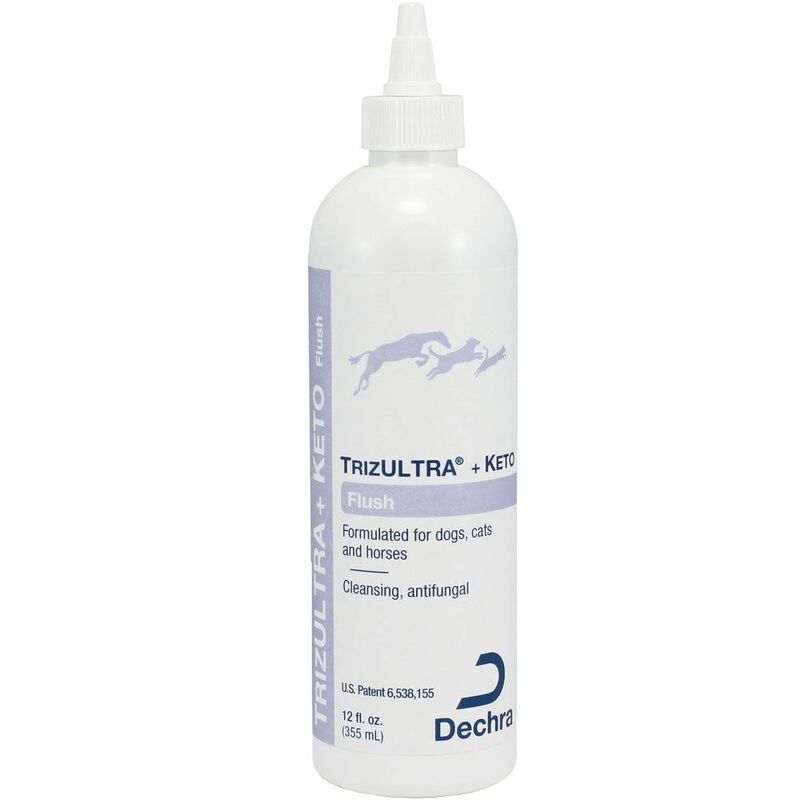 DECHRA TrizULTRA plus Ketoconazole Flush is a multi-cleansing flush for topical, antifungal, and antibacterial use for dogs, cats and horses. Shake Well. 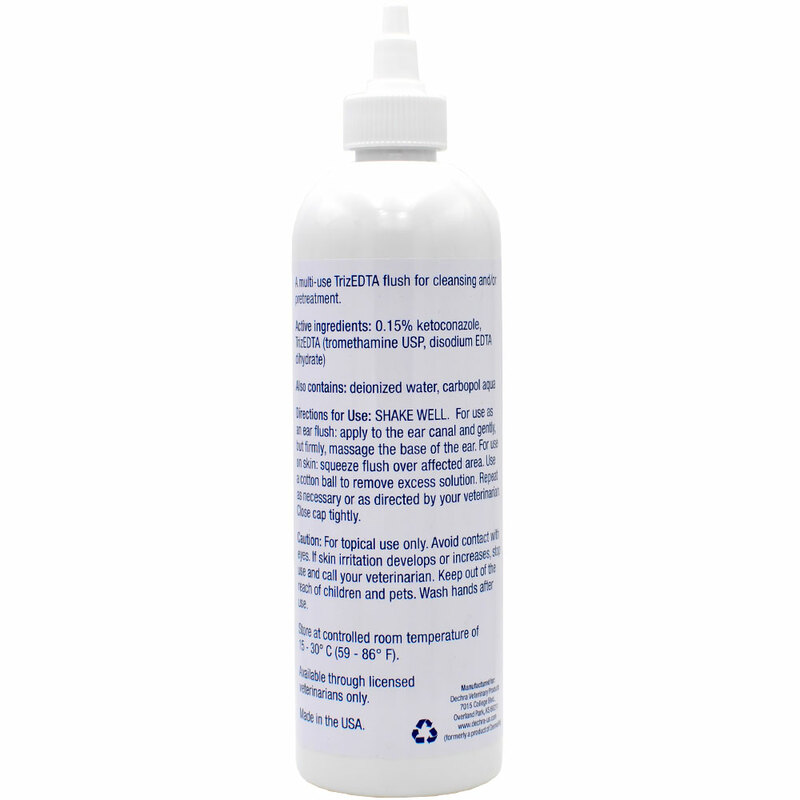 For use as an ear flush: apply to the ear canal and gently but firmly, massage the base of the ear. 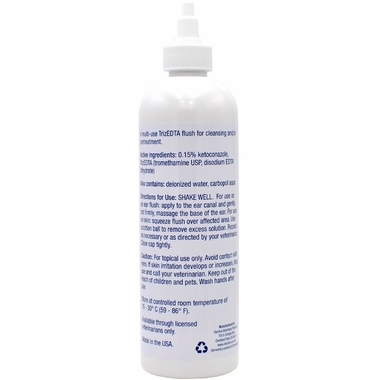 For use on skin: squeeze flush over affected area. Use a cotton ball to remove excess solution. Repeat as necessary or as directed by your veterinarian. Close cap tightly.